You blew my mind with how great my kitchen cabinets look now. Those living in the Deerfield Beach and surrounding areas have chosen to use us for all of their cabinet refinishing and cabinet painting needs. The kitchen is one room in the home that many families spend a lot of time in, which is why we make it our mission to give each and every one of our clients their dream kitchen at an affordable price. Our guaranteed coating system will help to give your cabinets and countertops the look that you want but without the high price tag and will save you thousands in the future. The best part about our services is that we can perform cabinet refinishing and cabinet painting with any color that you desire to match your appliances, flooring and backsplash or paint colors. There are various finishes to choose from including the artistic or the high-quality granite look which is really in style for homes in the area. If you are ready for a change we can offer a quality solution for updating all of your existing countertops and cabinets. 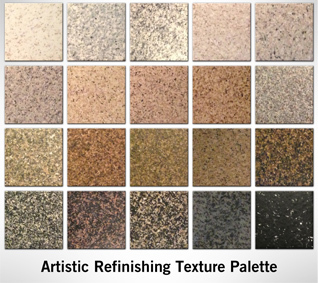 We offer a finish that will give you that professional look that you want and in addition to various colors the hand glaze will keep your countertops and cabinets protected against damage for years to come. When the work is complete you will have a smooth, durable look and feel that your guests are going to love. If you are looking for affordable ways to update your property in order to get the most possible from a sale you will definitely want to refinish and update the kitchen before listing the home. One of the bestselling features for any property is an updated kitchen so regardless of the style that you want we can help you to achieve it within a timely manner and again at a price that you are going to love. This will help to increase the property value meaning that whether you are looking to entertain or relocate this kitchen is going to draw in a crowd. This will help you to save money for any other home remodeling projects that you may want to tackle or just use for more important things. It’s imperative to use a company that has the experience, know-how and proven record to help you with your kitchen remodeling needs so give us a try today and find out why we have a wide base of customers including those that use us for all of their similar projects. Contact us today and allow us to help turn your kitchen diamond in the rough into a gem that you can be proud of and want to show off. We are here to help you in any way that we can so if you are ready for a change, call us today for a quote on kitchen cabinet refinishing and cabinet painting in Deerfield Beach.